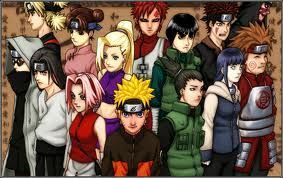 You are going to Watch Naruto Shippuden Episode 141 English dubbed online free episodes with HQ / high quality. Stream Anime Naruto Shippuden Episode 141 Online English dub Truth.Madara continues by informing Sasuke that Itachi was a double-agent who was assigned to leak intel on the Uchiha back to the village. He then contacted Madara to help him undertake his mission of exterminating the Uchiha clan. They succeeded in their mission, although Itachi couldn’t bring himself to kill Sasuke. Some time later, Sasuke reminisces on Itachi’s final words to him, before breaking down into tears. He then changes his team’s name to Taka and declares, with his new Mangekyo Sharingan, that their goal is to destroy Konoha.